How to Stop Automation From Stealing Your Job — Toister Performance Solutions, Inc. The woman walked into Starbucks, glued to her phone. She never said hello and wasn't greeted. Eyes fixed on her phone screen, she strode over to the counter where you pick up your drink and waited without saying a word. She continued staring at the phone until her drink appeared on the counter. The woman grabbed her drink, turned around, and left without ever engaging with another human being. You may have guessed she ordered her drink via the Starbucks app, a technology that allows customers to by-pass the cashier line. It may eventually eliminate cashier jobs. Other positions may not be far behind. Computers, bots, artificial intelligence, and other forms of automation are threatening customer service jobs everywhere. But what about the barista who made the woman's beverage at Starbucks? That person was voluntarily giving up her job to automation because she never once brought something that was uniquely human to the service interaction. That's the key to staving off the rise of automation — humanity. Look everywhere and you'll see machines doing customer service jobs that were once performed by humans. Banks are replacing tellers with ATMs. Hotels are starting to offer mobile check-in options, a feature airlines have had for years. Contact centers operate automated phone menus, self-help websites, and use bots to respond to text messages. The IBM Watson artificial intelligence platform is being tried out in multiple customer service roles, such as retail salesperson. Uber might soon offer a fully autonomous car service, right after Amazon cuts out delivery drivers and sends your order via automated drone. Andy Puzder, the CEO of the CKE Restaurants, the parent company of the Carl's Jr. and Hardee's fast food chains, has openly talked about opening a fully automated restaurant in response to rising wages. Puzder is also Donald Trump's nominee for Secretary of Labor. What Drives Automated Customer Service? It's helpful to understand why businesses might want to automate your job. There are three pressures businesses face that drive this trend: speed, cost, and quality. Speed is crucial because you can generally serve more customers faster in an automated environment. Do you remember waiting in line at a highway tollbooth? Now you can whiz past an array of sensors that automatically deduct the toll from your account. Cost tends to decrease with automation. You have to pay customer service employees for every hour worked, and that cost is ever-increasing. In my hometown of San Diego, minimum wage just increased to $11.50 per hour and many businesses, such as restaurants, are struggling to absorb higher labor costs. You typically pay less for automation over time. Quality is another concern. Automation leads to greater consistency since machines can repeat the same task over and over. There are also several studies that show customers spend more in fast food restaurants when they order via a kiosk, so machines may be outselling humans. If automation will eventually win on speed, cost, and quality, the only area where humans can continue to excel is being human. People like human-to-human interaction. When we talk about great customer service, we still inevitably talk about people. Perhaps it was someone who was extra kind or engaged us in some way. It could be a person who solved a persistent problem, or maybe it's just someone who has become a friend over years of service. A lack of humanity is where many customer service employees routinely put their jobs at risk. When I go to the post office, I usually use the kiosk because it's faster than waiting in line. I'm always amused at the end of the transaction when the screen reads, "It's been a pleasure to serve you." Unfortunately, at my local post office, I'll likely to get just as robotic a thank you from a live person. Why wait longer to get the same level of interaction as the machine? Supermarket cashiers are another example. Too many fail to engage their customers. Or they don't know what to say when they ask, "Did you find everything OK?" and the customer says, "No." We're all excited to see how the Amazon Go grocery store concept works out because the supermarket checkout adds no perceived value to the customer. Contact centers are seeing an increase in complex phone calls, primarily because customers are handling simpler transactions on their own. This means phone agents need to be empathetic, problem-solving humans who engage customers and make them feel better. All too often, agents instead sound like monotone robots and who either lack the caring or capability to resolve an issue. If you want to save your job, you need to bring humanity to service. This isn't an exhaustive list, but these are five things you can do to make yourself indispensable to your customers and your boss. Build Rapport: Customers like feeling special, and people can do that in a way that no robot can. Find ways to develop rapport with your customers like learning and using their names. 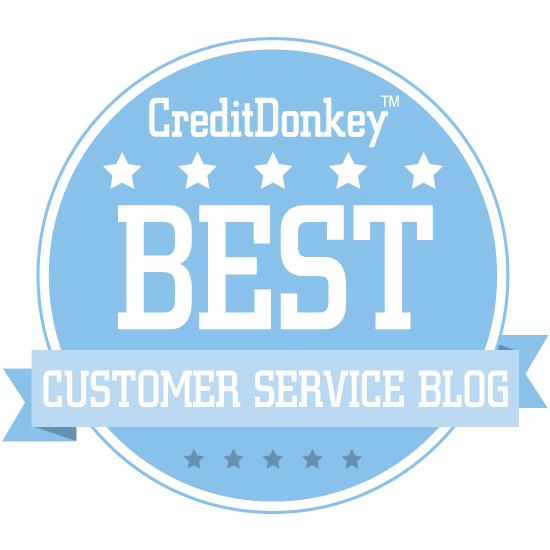 You can search the Customer Service Tip of the Week archives for more rapport-building tips. Listen Intently: We've probably all yelled "Live agent!" at a phone menu. The frustration comes because the machine isn't listening. You can transcend that by becoming a good listener. It's harder than you think. Our listening skills erode with experience. We also find ourselves robotically using stock phrases like, "How are you today?" which causes us to miss amazing opportunities. Empathize: Machines don't express genuine empathy, but you can. Try to understand and acknowledge your customers' feelings, especially when they are annoyed or frustrated by a problem. You can find some good empathy tips using this guide. Develop Expertise: Find ways to solve problems that automation can't. My local UPS driver once brought a package to my house that had the wrong address on it. He explained he knew it was mine because he recognized my last name and it was wine. He succeeded as a human because he understood his delivery route and his customers better than a machine. Find Icebergs: Help your customers avoid getting stuck in an infinite loop by finding and fixing recurring problems, called icebergs. I recently had to contact Time Warner Cable 23 times to get new cable, phone, and internet service. It was a frustrating experience because everyone I encountered was so heavily scripted they couldn't see the root cause of the problem until I connected with Rich, a Tier 3 specialist who spent several days unraveling the mess that Time Warner's automated system had created. Let's go back to the Starbucks example at the beginning of this post. It's inevitable that some customer service functions will become automated, like ordering via an app instead of a cashier. That doesn't mean that the people in the service chain should act like robots too. It's up to us to create such a fantastic human-to-human experience that companies will recognize the irreplaceable value of having people involved with the process.